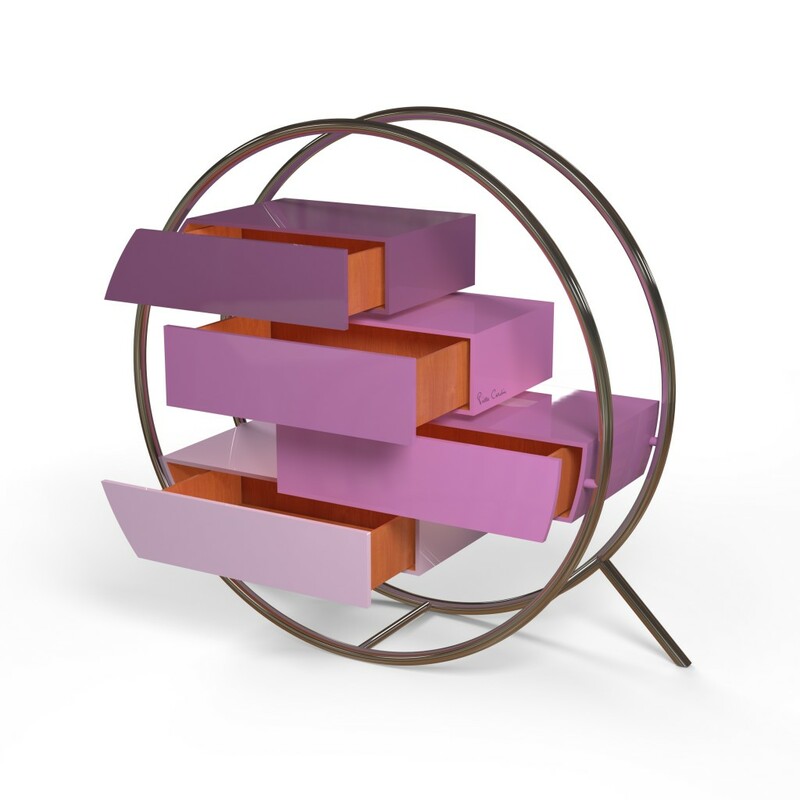 This sculpture is part of the Equilibre series, which features furniture composed of wooden modules attached to a tubular chromed metal structure. This chest of drawers features four drawer modules made of lacquered wood in different shades of the same colour. Due to their “random” placement, these drawers also create shelves on the interior of the piece, which is surrounded by two metal circles that also function as the structural support.